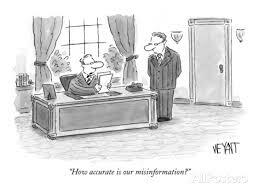 How accurate is your misinformation? If you are following the news about Turkey, you may have seen the week long curfew in Cizre (re-established on the tail of being lifted) in September; MPs from the opposition party HDP walking across a spartan landscape for almost 100 km.s in hopes of reaching the people stranded there; as well as the numerous arson attacks on Kurdish businesses, HDP party buildings, inter-city buses with names of primarily Kurdish towns printed on their exterior. As in any time of chaos, misinformation, libel, media manipulation was rampant during the Cizre blockade. The main aggressors in the images taken during the attacks on Kurds were making the familiar wolf sign of Turkish nationalists, and they were often referred to as such by mainstream media channels. This led to a public claim by the Nationalist Party (MHP) that they had nothing to do with these mobs. Of the aggressors, those arrested claimed they were sympathizers of the Nationalist movement, and soon enough articles on alternative media (not part of the “pool media” acting as the publicity stand for the ruling AKP) emerged, naming them “Sons of Ottoman” a pro-nationalist radical conservative group known by their loyalty to President Erdogan. All these aside, at the height of the confusion, dust and smoke, social media accounts were servicing images which were allegedly, and questionably shot inside Cizre, the town that was under siege, portraying either dead civilians, children, injured; or armed, ragtag militia. Suddenly, with Cizre out of bounds, it became a struggle to reach “clean” and timely information to be able to figure out what was going on inside the small town. Now that the dust has settled a bit, and the clashes have moved on and away from Cizre for the time being, I decided to share with you my quest in verifying a set of images which were serviced by social media accounts during the height of the clashes and the curfew, and often used as propaganda material to justify the heavy handedness of security forces. Since media access was blocked to Cizre during the curfew, we will never really know what exactly happened and who shot who. We know there were several civilian casualties, including children, and tragic stories of families cuddling their dead in ice-packs because they couldn’t take them to the hospital. Image 1. This photograph started its circulation along with 6 others in relation to the events in Cizre following what media called “Turkey’s Kristallnacht.” It was heavily circulated by nationalists, as well as Erdogan and AKP supporters, as proof for the governmental reasons behind the siege: that the city was infested with PKK fighters, and that the police and the military were there and the curfew was in place to hunt them down. Rough translation is something like: “expose these men, they are [members of] Hüda-Par [a radical right wing group] and killers of the Kurds, who were killed today.” This tweet also dates back to the Kobane street protests of 6-7 October that turned violent in Diyarbakir. We have a good stock of images with reliable sources from that date, as press still could access the region. However these photographs are not among them. So, still, we do not know if the armed men were right wing, or left wing. But by now we are certain they are not from Cizre, and certainly not from September 2015. I dig a bit further. Again the same young man, same shirt. The story that these pictures run in is referenced as taken from Ihlas Haber Ajansi (IHA) a right-wing Turkish news agency. The date: 08.10.2014. The problem: none of the businesses in the photographs are in Kiziltepe, a township approximately 30 km south of Mardin. Instead few of them are listed as being in Mardin. So unless the protesters walked all that way to the Hüda-Par party building in Kiziltepe (quite unlikely as the region is heavily guarded by security forces and any such march would leave many images and news stories behind) these pictures have nothing to do with the attack on Hüda-Par either. 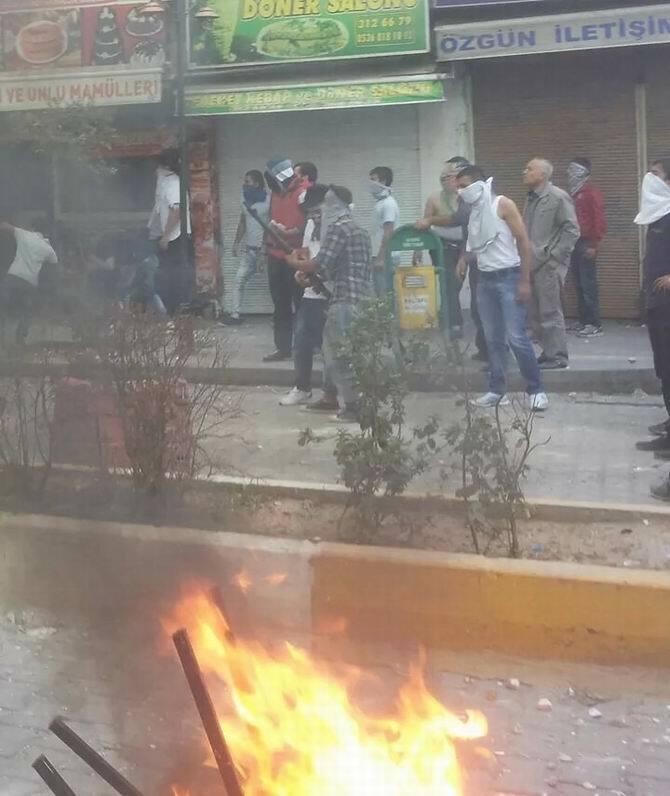 An attack following a march by BDP in Kiziltepe town center (in Kızıltepe Özgürlük Parkı, as mentioned in the news clip) did happen however, and was denounced by BDP, the Kurdish Nationalist Party, a fore-runner to and one of the factions within HDP today. BDP representatives reportedly even went further immediately after the attack and visited Hüda-Par offices to deliver their condolences and to assure them that the attack had nothing to do with them. In the video clip acompanying the news story (above link) on the street clashes in Kiziltepe, we can see the footage is actually from Kızıltepe, as the Taxi sign that keeps on coming back into the frame is a company based in the small town center. So, once again, of the set of photographs, although from Mardin (now verified with store names and locations), we still cannot be certain as to when and how they were originally captured, or who the people in the photographs are. But they surface as “PKK” or “YPG-H” each time there is a clash or a street protest, or an attack in southeast Turkey, for which who claims responsibility is convoluted. Same set of photographs surface in news stories about clashes in Cizre (2015), Silopi (2015), Diyarbakir (2014), Adana (2014), and in Mardin Kızıltepe (2014), to list a few. And mostly they are serviced by the right wing groups as propaganda material to justify the government clampdown on towns in the Southeast where a large voter base for present day HDP is situated. We journalists produce images in hopes of sharing with you what is going on in a distant part of the world, as accurately as possible. However, often, our images fall in the wrong hands and become backbone material for propaganda. As we increasingly end up with images made on mobile devices by amateur users with no idea of journalism ethics, the danger of these images being manipulated becomes exponentially higher. Most digital visual material contains digital signatures. And often those signatures can be traced to the original creator of that image. But in some cases that becomes impossible. Still, there are ways. And if you are wondering what they are and are interested in becoming a devoted image detective, you may start by reading the verification handbook. And if you care enough to trace these images further to their source, feel free. Just don’t forget to drop me a line when you find the original source!